Southern California definitely does not have a shortage of theme parks, Disneyland being the most famous of them all. I have been a huge fan of all things Disney for as long as I can remember, but after moving up to Northern California for a few years for school, my inner child was seriously Disney-deprived. 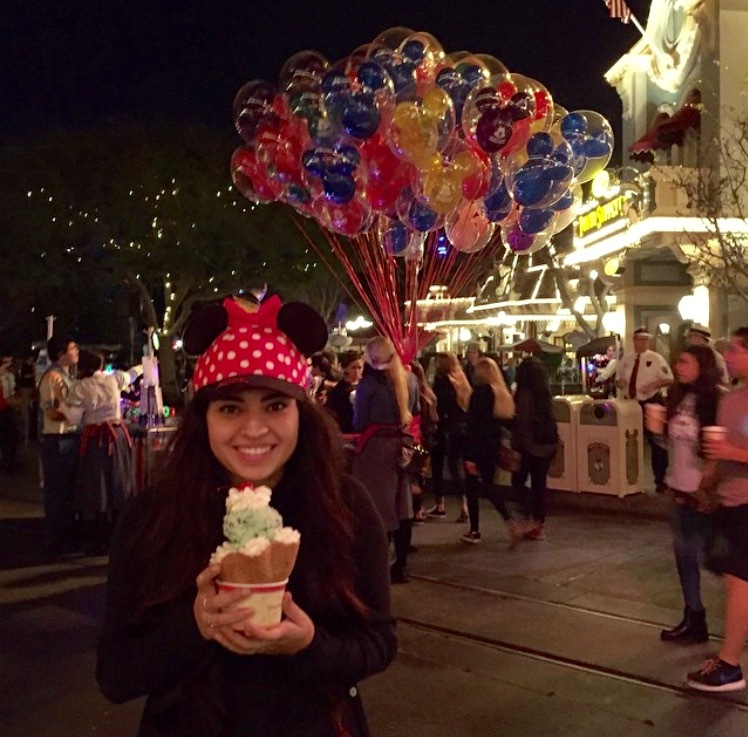 On February 8, 2015, we headed back to the Happiest Place on Earth! Before the prices of Disneyland tickets skyrocketed, my girlfriends and I were annual pass holders. Being Southern California residents comes with some Disneyland price perks, so I decided to do a monthly payment plan and after just three trips, my pass had paid for itself! If you check out the prices now, you’ll see they have greatly increased, but tickets have as well. We would drive down to Anaheim, CA every few weeks and enjoy some rides and shows and head home, because there really was no rush to jump on every ride before the day was over and I was always thankful to live so close! Note: Parking is not included in every annual pass; you can get an add on, but that is an additional cost. Also, passes have other perks, like park-wide discounts, so if you are a frequent Disneyland adventurer, the annual pass may better suit your needs. Whatever you decide to do, tickets or a pass, I would highly recommend checking out both parks! The first piece of advice I would give anyone vacationing to Disneyland would be to check their website. On our most recent trip, to our dismay, majority of the park attractions, including Sleeping Beauty’s Castle, were closed! The website includes major closures, but rides do break down somewhat often. After speaking with the staff, we were told to check out the website first, to make sure we are getting the best out of our vacation. Because we visited the park during “off-season,” we got to enjoy a much less busy park, with significantly more closures than usual. Disneyland’s off-season usually takes place Mid-January through Mid-May, with the exception of long weekends, such as President’s Day and during Spring Break season. A great money saver for Disneyland Parks is to bring your own food! Unlike many other theme parks, Disneyland allows entry of food into the park without a note of special dietary needs. Of course, if you’re at Disneyland, it is hard to resist the urge to grab a bite to eat with all the delicious options the park has to offer. My personal favorite is the the Clam Chowder Bowl and the Pacific Wharf Cafe in CA Adventure and also available in Disneyland at the Royal Street Veranda, located on top of the Pirates of the Caribbean attraction. A close second would be the Chimichanga’s (located at a select few carts in both parks). Third on my list would be some delicious pasta from Pizza Port! Can’t go wrong with their relatively reasonable prices for the portion sizes, located next to Space Mountain in Disneyland. Yum! I’m not much of a sweets person, but both parks have a variety of tasty dessert options, including ice cream from Gibson Girl Ice Cream Parlor, located on Main Street in Disneyland! Speaking of food, if you need a little pick me up while in CA Adventure, get some FREE bread at the Bakery Tour hosted by Boudin Bakery, located behind the Pacific Wharf Cafe. Yes, you read that right, something free from Disney, so take advantage! Now to the fun stuff, for the adults that is… Alcohol! You can get a refreshing Margarita in CA Adventure at Rita’s Baja Blenders! Fast passes are the best way to optimize your time at Disneyland and CA Adventure, by reducing the time you spend in line, especially for the newest attractions like Cars! To get a fast pass you’ll need your ticket or annual pass handy. You can get a fast pass of your choosing by heading to the entrance of the ride and using the automated machines. You’ll scan your ticket and out will shoot a ticket stub with your return time. Once you return, you’ll enter into a designated entrance and cut your wait time substantially! The important thing to know, is that you may only have 1 fast pass at a time per park, so make sure you get one for the ride you need to ride. World of Color & Fantasmic also now require fast passes. With every rule, there is usually an exception and the fast passes for these shows are one of them. Meaning, you may hold a fast pass to either show without it affecting your ability to obtain fast passes for other attractions. World of Color will “sell out” of fast passes rapidly. I would recommend hitting CA Adventure when you first arrive at the park and head straight to Grizzly Rapids, where you will be able to access a fast pass for World of Color. The show times have varied, but there are usually two shows, so you will get a show time and color on your fast pass, marking when and where you will be viewing the show. I would highly recommend seeing World of Color, as it is my favorite part of my Disneyland Resort trip. It is important to note that even though you have a fast pass, you will need to line up early and you should arrive even earlier to ensure a good position in your assigned section. The closer you are to the water, your chances of getting a light mist will increase. The World of Color show is located at the Pier in CA Adventure. Note: World of Color is being refurbished for the anniversary, so it is sadly missing from my video. Fantasmic is the other fantastic show that Disneyland has to offer and it is included in my video! It is another water based show located in Disneyland at Tom Sawyer Island. Fast passes are fairly new to this show, so we managed to get some stand by tickets about an hour before the show and we had better seats than many people with tickets. Those tickets are also color coordinated by section, but the stand by sections are either in the back, or off to the side, but we had front row seats, so I would happily do stand-by again. The Fireworks show at Disneyland is incredible. Unfortunately for us, as you can see in my YouTube Video, our showing was about 4 minutes long; another mishap of Sleeping Beauty’s Castle being closed. The Firework shows are constantly changing for all sorts of occasions, but my all time favorite has to be at Christmas watching from Main Street. The atmosphere is breathtaking. If you want to snag a seat, you’ll have to grab a bench quite some time before the show is set to begin. The castle will also close in preparation for the fireworks show. 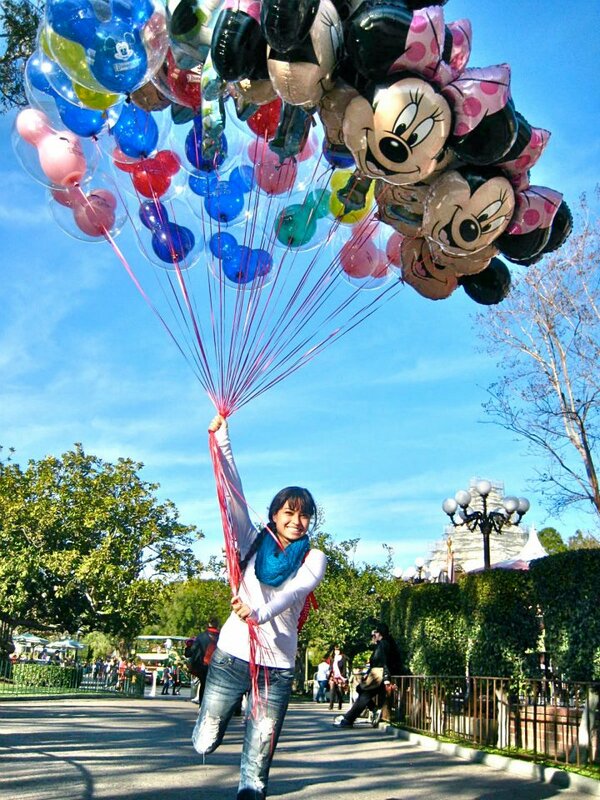 I could go into more detail, but this amazing article on Disney Tourist Blog says it all! Check out the link for optimum viewing pleasure of the fireworks. Pins are a unique and fun way to connect with the park and get the most out of a Disney purchase. Disney offers a wide variety of pins for all sorts of Disney fans from princesses to the original Disney gang to personalized pins, you’ll find what you’re looking for for the occasion and the best part is that you can trade them with any cast member! If you see a pin you like just let them know and it can be all yours! Disney Resorts are full of fun surprises. You could go to the parks hundreds of times and still find new things, but one exciting thing to do while at the park is to search for the Hidden Mickeys. There are tons of websites and books dedicated to locating all the Hidden Mickeys through the Disney Resorts all over the world, so check them out! Some are more obvious than others. Overall: Disneyland may be getting incredibly expensive, but I hope this helps you make the most of your time and money spent there. 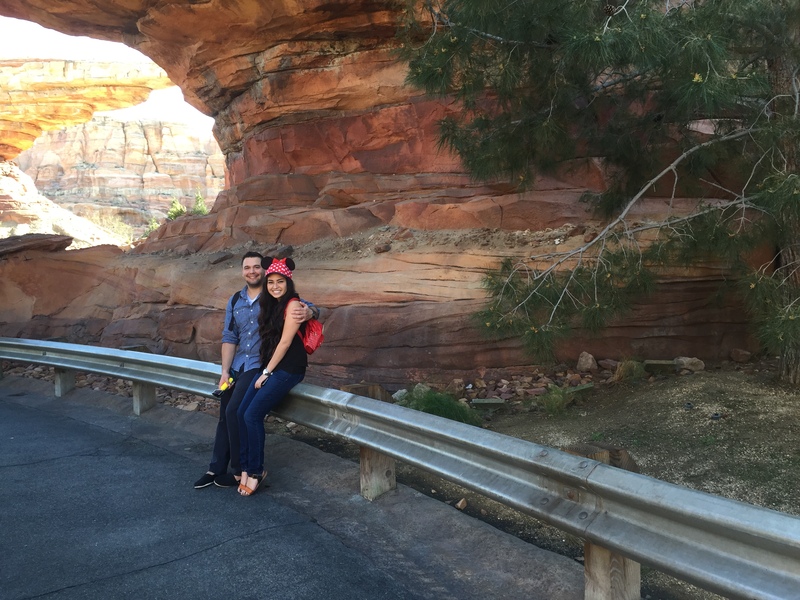 I will always be a Disney kid at heart and I hope this helps you in planning your trip. Look for future postings as I discover more with every visit. If you have additional tips, feel free to add them to the comment section!